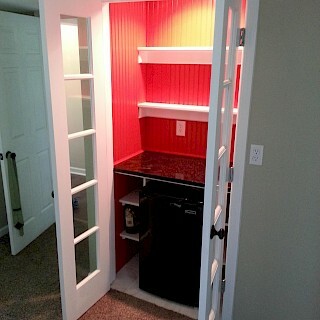 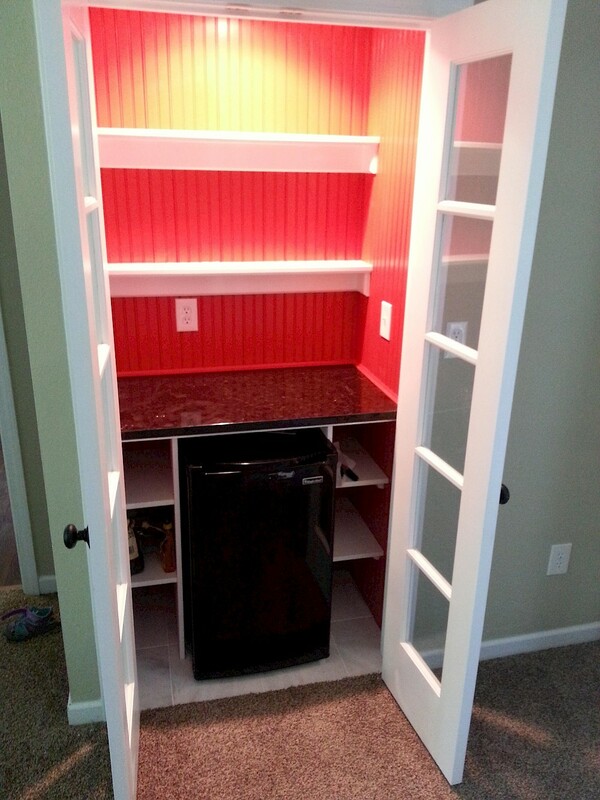 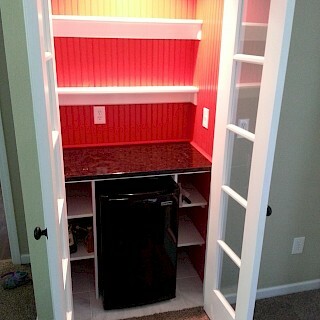 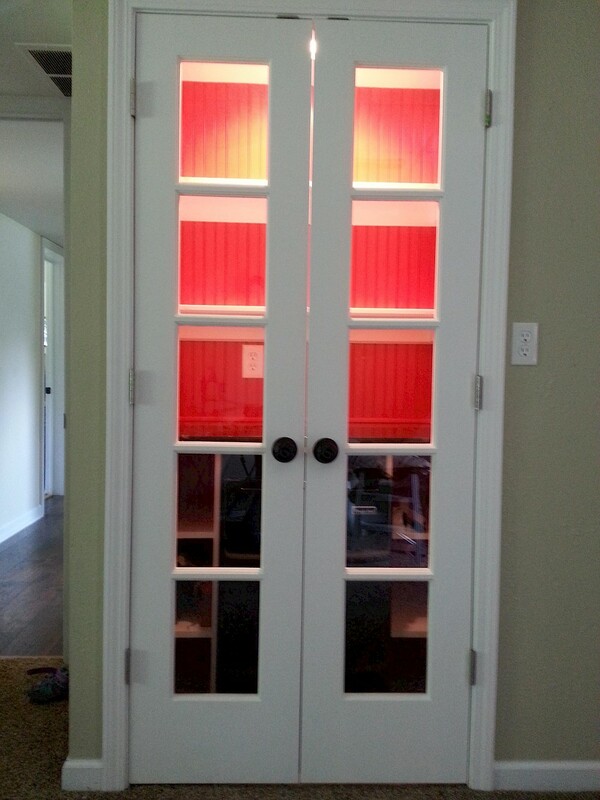 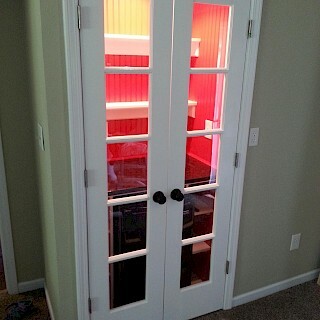 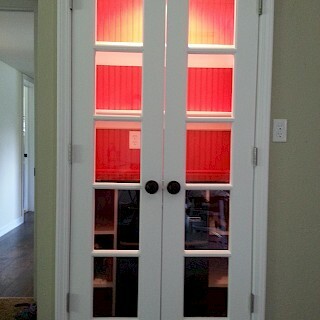 This renovation in Howell transformed an unused living room closet into a unique living room bar. 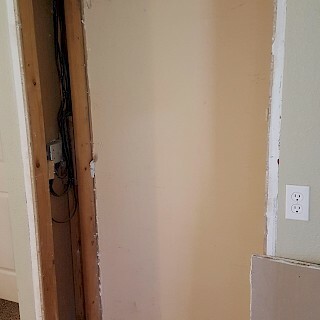 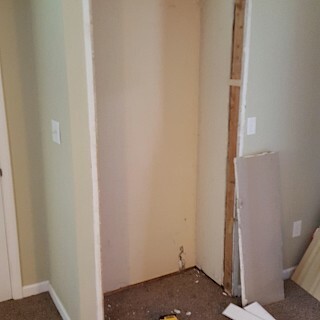 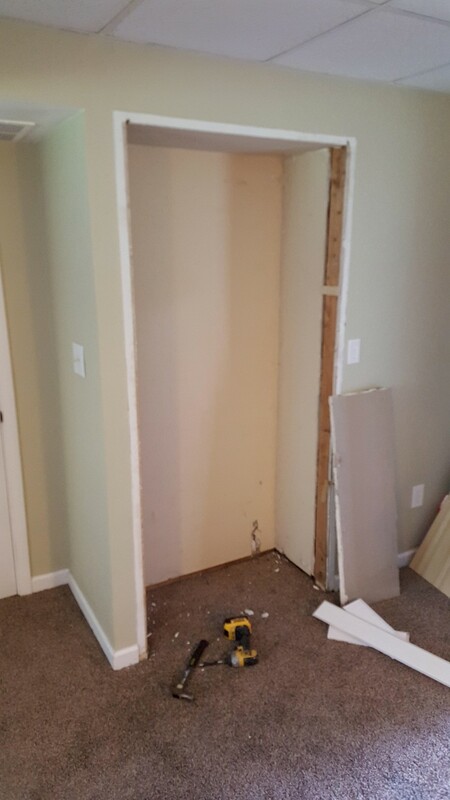 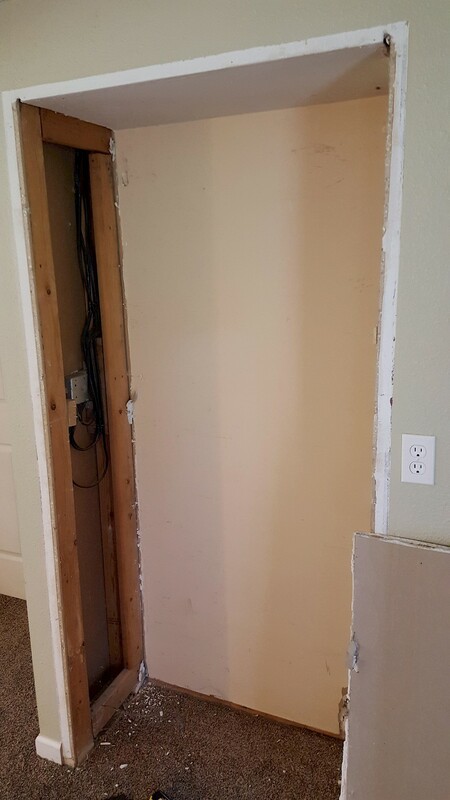 The framing was updated and the wall in between the two closets was redivided. 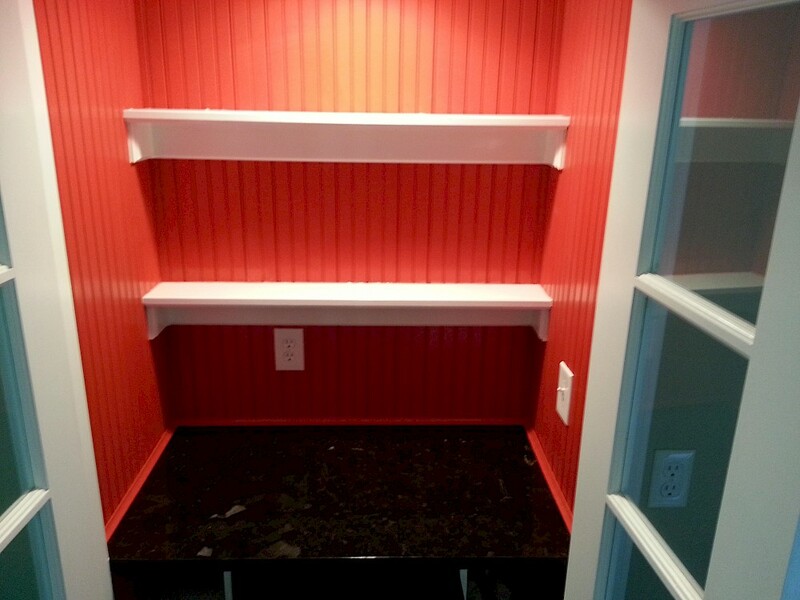 Tongue-and-groove beadboard paneling was used to incorporate the walls. 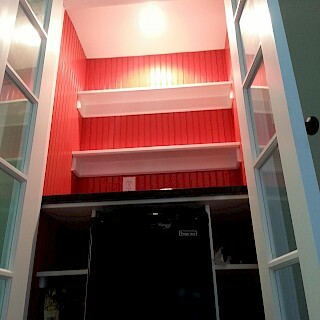 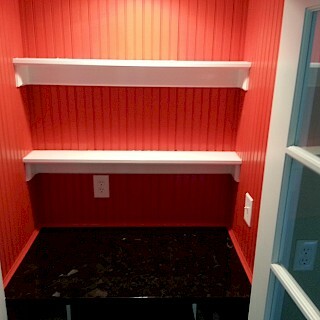 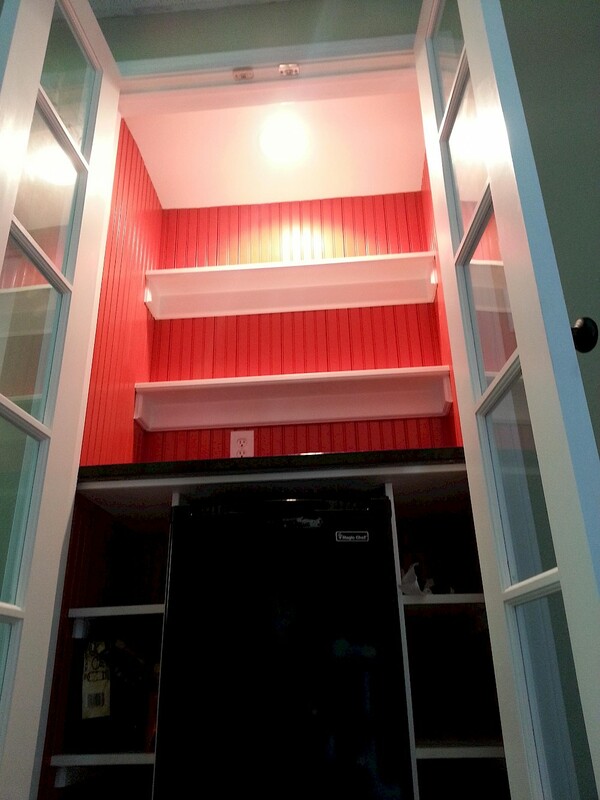 Handcrafted custom shelving was added and all the electrical was updated. 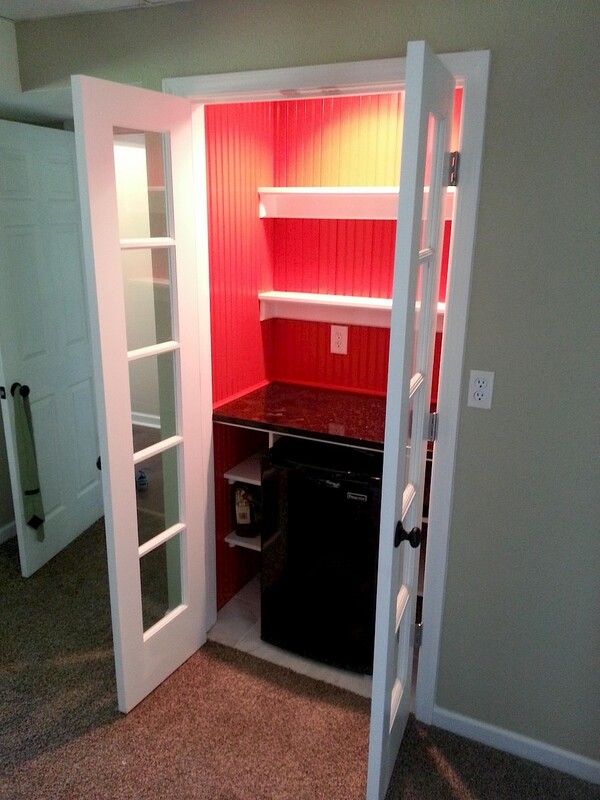 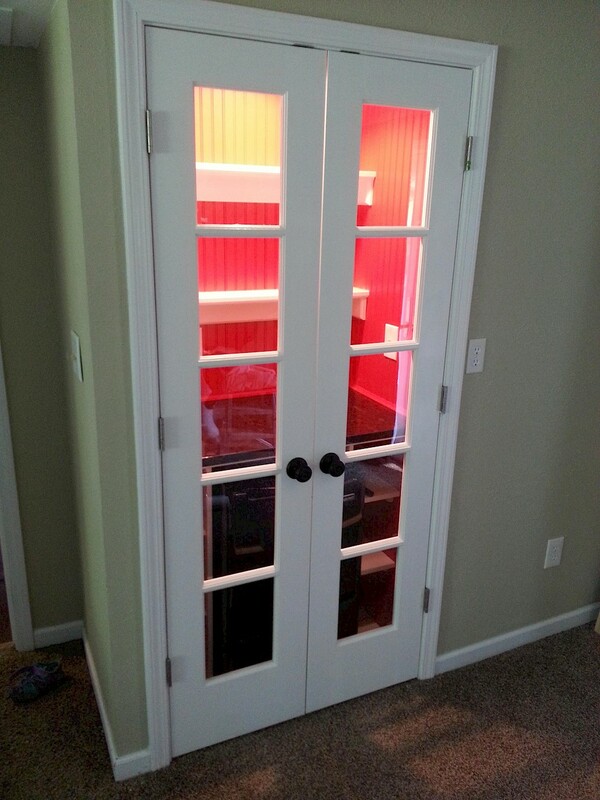 Granite countertops and a glass french door were installed.